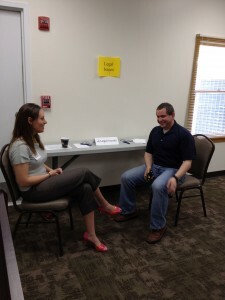 Erin Wiseman recently provided general legal advice at a StartUp Jeff City event. StartUp Jeff City is an organization for people with ideas to gather and get advice from professionals about starting a business. In general, each entrepreneur spent 10 minutes with the various assisting professionals to receive general guidance about issues to consider. Erin provided information about the importance of utilizing an appropriate business entity and the use of contracts. Erin Wiseman has a general civil practice that includes criminal law, family law and accident and injury law.